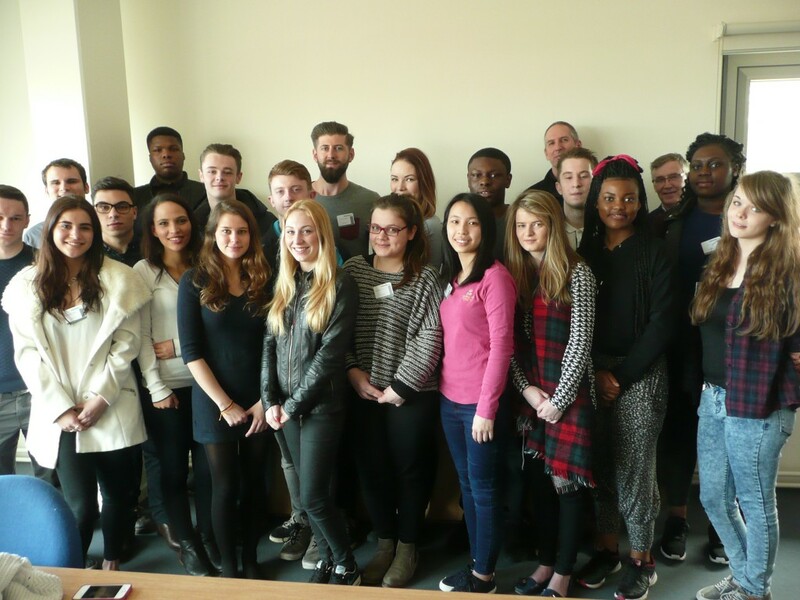 Kent Business School, in association with Paul Dyer, alumnus of the University of Kent, offered twenty deserving business school students the opportunity to take part in a unique one-day leadership development programme at Kent’s Medway campus on 20 March 2015. With an emphasis on personal development, the Paul Dyer Development programme has been designed to encourage students to achieve their leadership potential, bolster their confidence, and enhance their management capabilities to allow them to develop essential employability skills for their careers after graduation. The focus of this 1-day programme was on learning by doing through a range of fun in-class and outdoor activities, encouraging reflective self-assessment, building network relationships and enhancing collaborative working.The programme proved an eye-opening experience for many students and was described by some as a ‘life-changer’. “It was nice to meet people who were just as passionate as I was about entrepreneurship and leadership”. “It was a truly great experience. The programme was very well prepared and definitely worth attending”. This is a unique programme developed at the University of Kent with the Leadership Trust which has been adopted in other Universities in the UK and has been proven to help students enhance their leadership skills and employability. Paul Dyer, Alumnus of the University of Kent and former director of Towergate partnership, one of the UK’s leading insurance intermediaries, generously sponsored these students to partake in this experiential leadership development programme. For more information please click here to visit The Paul Dyer Development webpage.